A Hatay man, identified by his initials M.Y. 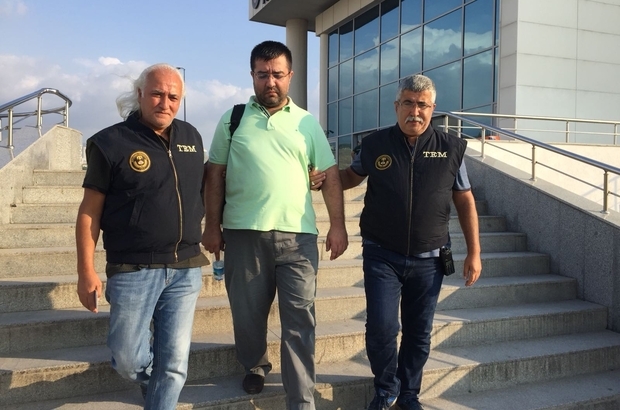 who is wanted over links to the Gulen movement, was rounded up when he stopped by a notary public in Hatay province. State-run Anadolu news agency reported Thursday that M.Y. went to a notary public’s office to obtain a letter of parental consent for his child’s would-be trip to overseas. Police were dispatched to the office upon the information that a suspected Gulenist showed up at the notary. M.Y. was put in pre-trial detention on charges of membership to the Gulen group. Turkish government accuses Gulenists of being behind the July 15, 2016 failed coup while the latter denies involvement. More than 90,000 people were put in pre-trial detention over Gulen links so far.